A show about clinical depression...with laughs? Well, yeah. Depression is an incredibly common and isolating disease experienced by millions, yet often stigmatized by society. 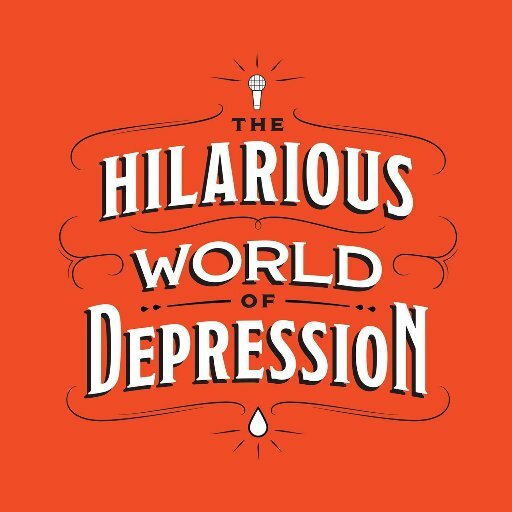 The Hilarious World of Depression is a series of frank, moving, and, yes, funny conversations with top comedians who have dealt with this disease, hosted by veteran humorist and public radio host John Moe. Join guests such as Maria Bamford, Paul F. Tompkins, Andy Richter, and Jen Kirkman to learn how they’ve dealt with depression and managed to laugh along the way. If you have not met the disease personally, it’s almost certain that someone you know has, whether it’s a friend, family member, colleague, or neighbor. Depression is a vicious cycle of solitude and stigma that leaves people miserable and sometimes dead. Frankly, we’re not going to put up with that anymore. The Hilarious World of Depression is not medical treatment and should not be seen as a substitute for therapy or medication. But it is a chance to gain some insight, have a few laughs, and realize that people with depression are not alone and that together, we can all feel a bit better.